I was looking for a great topping for some fish I was making and pineapple salsa came to mind. 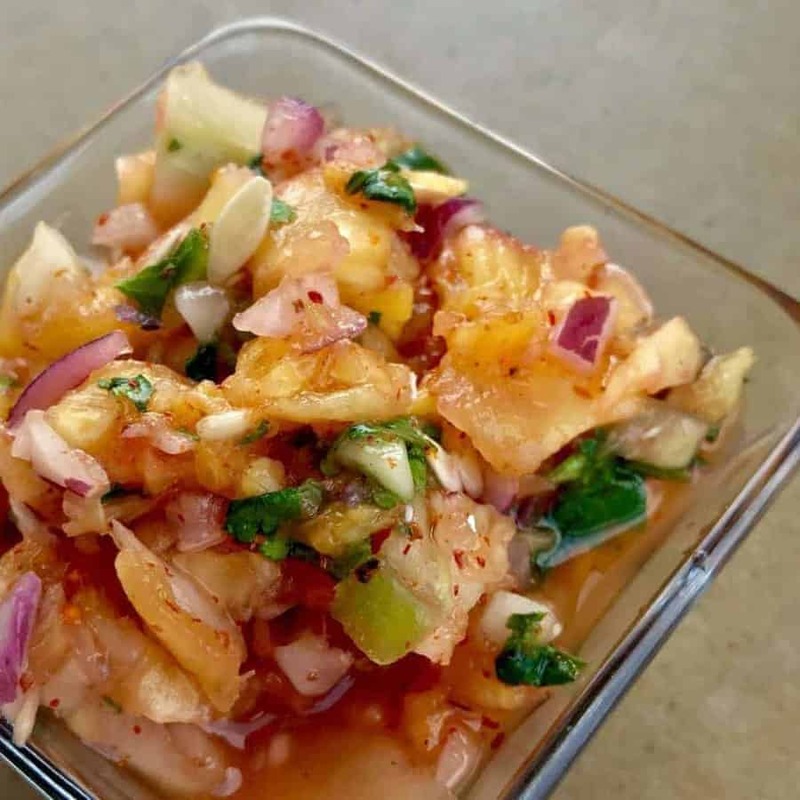 Pineapple salsa is full of tangy, bright flavors that complement fish perfectly, but it tends to be higher in carbs because of the sugar content. I decided to put some cucumbers in the mix to help bring down the carb content while still providing that fresh and crunchy bite you expect from a good pineapple salsa. This is a lovely no cook and low carb pineapple salsa that you can have over any grilled fish, shrimp or scallops that you make, or you can just eat it on tacos filled with Pork Carnitas. You can vary the proportions of cucumber and pineapple for this pineapple salsa recipe to keep the carb content down. I made it with equal amounts of pineapple and cucumber as a test, but I think I’ll add a little extra cucumber so that I can keep sugars down while still being able to enjoy the taste of pineapple. Simple, fresh, tangy, crunchy, and made even simpler with the Kuhn Rikon chopper that I love to use, you just can’t go wrong with this pineapple salsa recipe! 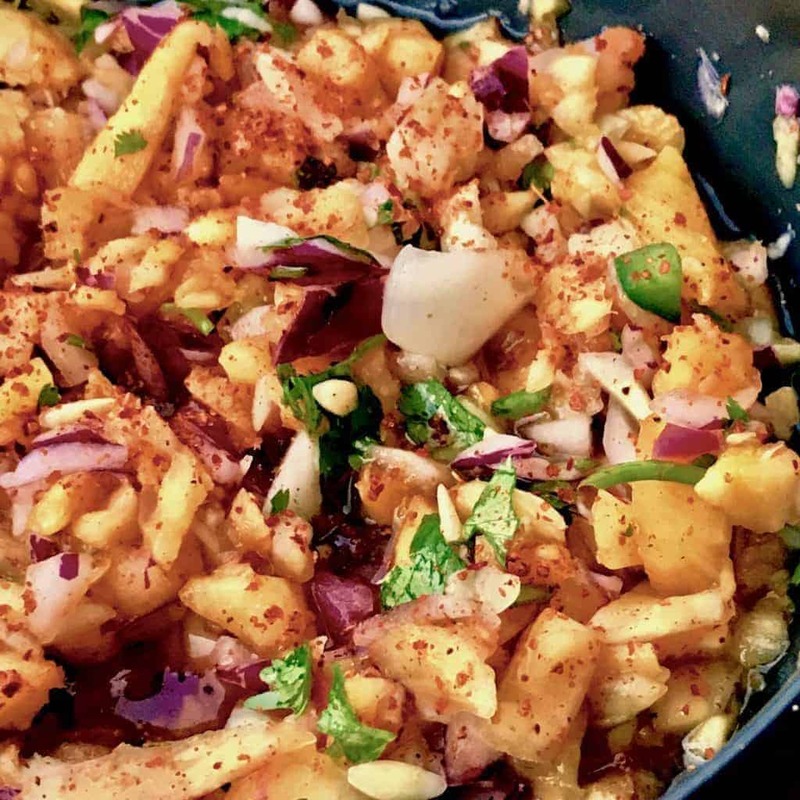 LOOKING FOR A DELICIOUS DISH TO ADD THIS PINEAPPLE SALSA TO? TRY MY PORK CARNITAS! Looking to add some great flavor to your next seafood recipe? My pineapple salsa recipe with cucumber is a great way to add a fresh, tangy bite to any dish! Mix all diced ingredients and let it rest for a while. Taste and adjust salt, lime juice, and Tajin as needed. Serve with grilled seafood, or as a topping for pork carnita tacos.